"Fine for what it does"
I do like how easy it is to speak with a representative. The site is easy to navigate. It's nice to have a recurring billing feature. For the needs of our company, I would rather eliminate it and our Form-building site and use a service that combines all features. The transaction search feature could be streamlined and amped up a bit. The reporting lacks customization and is far too basic. I don't need it to be robust but it certainly could be better. If a recurring donation transaction fails, you have to get the card number from the patron and run it manually. It seemes as though there must be a more efficient solution. Authorize.net has not made any changes or upgrades to their software in the year and a half that I have been using it. I'm unsure if they have anything planned for the future. As a non-profit, Aithorize.net allows us to handle all online (or over-the-phone) transactions. It works exactly as it's supposed to but it's very basic. Prior to setting up an account with them, all donations had to be sent in via the mail. "Authorized.Net - An user friendly payment gateway"
We can generate the transaction report only for upto 90 days (3 months), if we need the transaction data for the last 1 year then we need to generate the data every quarter and then merge it to one file which is a very big restriction. Authorized.net is very much suitable for small business, medium scale business and even for the large business type. You will never regret the decision of moving to authorized.net from your existing gateway as you can definitely feel the difference it brings to your business. Even the pricing is very less when compared to their competitors, it is worth paying every penny for the service it offers. Don't believe me use it and then you will tell others about this product for sure. We are using the Authorized.net as our primary payment gateway to receive payments from the users for our business. The features it provides at the cost we pay is very excellent. I like that AuthNet is simple to set up and provides all the basic tools that a business owner needs to collect payment anywhere. I am able to process a card, set up a card to process, delay the process but capture the information, set up recurring billing, organize accounts and subscriptions into groups and categories, and export data for further organization. One thing I dislike about AuthNet is that I am unable to add a second notification email on the account. One person receives the email notification right now, and it would be helpful if more than just one person could be notified when a transaction comes through. I also dislike that sometimes for no apparent reason, cards are declined. Sometimes it takes one or two tries to get a card to process, and nothing seems to be the problem with the info we are entering. It also lacks in basic reporting. Some functions are difficult to find and it takes some knowledge about basic merchant terms to find what you are looking for. But once you get the hang of it, it is simple. I also don't like that there is a 120 day window in which you can process refunds, and processing the refund is complicated. I wish there was a way to set up recurring billing in one step, rather than the two step process that is in place now. If you are needing a basic processor that is not a swipe-technology, AuthNet is a great fit. We are satisfied with the fees in place and the ability to do what we need it to. It is simple to set up and doesn't take long to learn to navigate the features and familiarize yourself with the terminology. AuthNet solves the problem of payment collection on our website, and card processing. We charge all cards through AuthNet, and AuthNet is the processor set on other applications such as EventBrite. We wouldn't even be able to run cards without a processor, and that is the main way that most people pay. Every business owner needs a processor that doesn't take such a hefty chunk out of your profits! AuthNet has been satisfactory that way. "A payment gateway to solve all your payment needs"
The best payment gateway to handle the customer needs and it helps in creating financial values to the company. We will not be able to generate reports from Authorized.net for the last 6 months, we can generate only the last 90 days transaction at once. This restriction should be lifted for easy use. "Excellent payment gateway to connect the merchant and the user"
Authorize.net acts as a platform to connect us with the users in transacting the money. Also, it is allowing us for an easier credit card processing. We do have the option of setting up the recurring payment which helps our users in saving time and energy. Also, the option of API integration makes the payment gateway more user-friendly and customizable. The gateway does not automatically send a payment reminder to the users at the time of renewing a subscription which in turn affects our business model. The best payment gateway currently available in the market to solve the payment problems and the options of API integration and the report generation to know the failed and the settled transactions makes it even more friendly to use and there is no much training required for the users to adapt to this gateway. We are using Authorized.net to get payments from our users and we handle disputes from the users and it helps us in getting the money from the users at the time of purchasing a subscription through Magzter. "Great solution for accepting payments"
I have only used authorize.net and PayPal for processing credit card payments, so I don 't have much to compare to. However, I like the fact that with authorize.net we are able to set up fraud detection to make sure certain parameters are flagged for fraud. I dislike that some payments have to be manually transferred to our client's accounts. On occasion, the funds will not transfer and our clients will ask where their money is. We will then have to look up the transaction and manually process the deposit into their account. This can be more work for us, but also an inconvenience to our clients. If this happens outside of our normal business hours, they must wait for the next business day to make a purchase. This can negatively affect the client as well as our sales. This is a great utility if you are looking for this type of service. We only used PayPal's guest checkout for credit card payments, so we needed such services and we ended up getting lucky picking authorize. net. We are solving the problem of accepting credit card payments. We only use PayPal for most of our deposits, but clients wanted another option for credit cards. 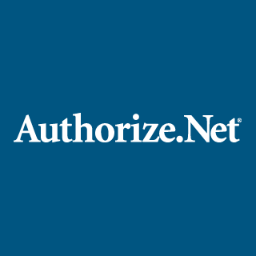 Authorize.net solved our problem of only have one payment processor. We have realized an increase in client happiness as they now have another option to deposit. I've found authorize.net to be reliable and trustworthy for many years. In fact, Authorize.net helped my business early in its launch to stabilize recurring subscription payments. This was a huge benefit to my business. My bookkeeper understood how to use the interface and was able to track perfectly. Additional charges when fraud transactions are decline. At times, it is difficult to figure out why a transaction has been declined. This can result in frustrated clients. A user portal we could direct customers to would have helped. My credit card billing and recurring transactions are managed through Auth.net and its pretty much flawless. "Illegal Charges Resulting in Customers Cancelled Subscriptions Charged"
We’ve used authorize.net for handling payments and subscriptions for our software company since 2009. In October 2017 I turned on their account updater feature which updates expiring credit cards with the new card number or expiration number so the subscription stay active. Instead of updating active subscriptions like is supposed to happen, Authorize.net re-activated cancelled subscriptions. Their mistake increased our chargeback rate by 500% in one month. Our chargeback rate skyrocketed so high our merchant account was shut down and now we cannot get another merchant account to process the subscriptions because the previous merchant account’s chargeback rate was so high. Authorize.net told me they have no way to reverse their mistake. Each card thats updated costs 25 cents, when I requested a refund for the fees Authorize.net denied my request. On November 7, 2017 we were charged $5,385.90 for this feature. I emailed authorize.net on December 4, 2016 asking for a refund. On December 6 I received a response that did not answer my question. On December 6 I asked for a supervisor, the supervisor called Melissa responded on December 7 and stated they are aware of the problem with Authorize.net updating canceled subscriptions but won’t fix it or refund our fees. Their error, that they claim they know about, is illegal and a violation of Visa/Mastercard rules. You cannot reactivate customers subscriptions after they cancel them, that is not legal to charge customers when they canceled their subscription and don’t authorize the charge. Their mistake cost us six figures in losses, so the very least they can do is reverse the fees they charged us for their mistake. Authorize.net has a terms and conditions that are required to authorize before turning on the feature, but nowhere in their terms do they state they will reactivate cancelled subscriptions, so I never agreed for this to happen as its not legal. I disputed the $6,497.63 in charges for the account updater feature with my credit card company and we won our dispute. I filed a complaint with Mastercard and they opened an investigation. I filed a complaint with the Utah Attorney General and they agreed its illegal, but they only investigate claims filed by consumers, not by businesses, so they did not open an investigation for that reason alone. Authorize.net connects with Form Assembly and Salesforce really well. We use Authorize.net on a daily basis to collect deposits and payments from volunteers. Searching for transactions is user-friendly and easy to do based on the search options. The invoice function is also really handy. The downloadable reports of transactions is terrible, the formatting is not user friendly and does not convert to excel. The website for merchants is very dated and has a TON of text on it. It took me a while to learn how to navigate the website. I enjoy the invoice function, but I do wish there was a way to business's to personalize/brand it. It does not work with international credit/debit cards. We are able to keep volunteer's information more confidential. Before, many volunteers were filling out a paper form with their credit card info and sending it to the office. Several others were having to call in and pay over the phone. We have stream lined our payment process which is a huge benefit for us and our volunteers. "Auth.net is a great solution for small business"
The ability to access online in any location. We have employees spread out across the country and this allows everyone to access the processing system remotely. It is also very affordable and for us being a small business, that's a great thing. The fraud detection is also a great feature and we have had a good experience with payment processing quickly. Overall I would highly recommend. There's not much that we dislike about the service. The only complaint I've heard from other people is that if you ever switch to another service, it won't allow you to transfer data. We have not experienced this and don't plan to change though. If you're looking for an easy set up and low maintenance payment portal, this is a great solution. It's extremely versatile if you're looking for something that can process payment through your website and also has the option to be portable with the virtual terminal point of sale. We are mainly eCommerce so this solves a lot of our problems and helps us process our payments quickly and efficiently. It's easy to use and the security/fraud detection has been great. We use it for payment on our website and also as a virtual terminal to take payment over the phone or if we're at an event. That has been a great asset to us as our business moves. Overall, we're really happy with the service. "The most preferred payment gateway out there!" I like that Authorize.net is so open for many integrations. The process to connect is quite simple as well. This is my preference to anyway who needs to implement as a gateway only account! The boarding process is fairly simple, and implementation is very straight forward. Ongoing support is great and you will always have your questions answered. When one of my payment vendors cannot connect directly, Authorize.net fills that gap 100% of that time! "Authorize. Net is a Hassle Free Payment Channel for Customers!" Authorize.Net allows us to get paid on time and hassle free. Our dear clients see that credit card payments are secure and flexible with them. With this software, my clients business can cater to customers requests to pay via credit cards. Authorize.Net collects fees based on the amount not on a flat fee. The bigger the amont and the frequency of use gives you more charges. Collection and Accounts Receivable handling made easier. The thing i like best about authorize.net is that we are able to set up recurring billing for our clients and have payments taken out monthly (or daily or weekly if we wanted). We get a report emailed to our inbox that verifies that everyone's payment was processed and if someones was declined or expired as well. We don't use this feature yet but if you have a website you can link your authorize.net to it and people can purchase things through your website. One more thing is that it not only does recurring billing but also has a credit card reader that people can buy cash and carry in your store if that is something that you do. It is super helpful and nice to have all those things in one place. The website is a little complicated to navigate at times but the tech support is pretty helpful if i need them. I can usually figure the problems i have either just by clicking around. So not bad at all. I would recommend this to any size company. We are a smaller company but it would definitely work for bigger company as well. It is great, fairly easy to use, and has great help from the tech support. Problem of running each card by itself we can do it all in one batch in one day and it is done. I like that you can search for transactions by credit card number, transaction number, first name/last name, or search transactions by day. It also shows you if a transaction is still in the process of completing. There is a lot of great functions to utilize if you're monitoring the cash flow that's coming in/out of the organization. When doing a refund, people would ask for a PDF of the receipt and it wasn't easy to figure out how to generate a receipt for refunds. It was easy to do for transactions that were processed. Working at a membership organization, people have questions about whether their transaction went through or people question whether they were double charged or a product/service. It's easy to go in and solve customer concerns right on the spot. I can ask them to hold on the phone really fast, login, search, and answer their question in a jif. "Authorize.Net Stands Above Its Competitors"
Authorize.Net has a very intuitive layout. It's very easy to search for previous transactions and void incorrect transactions. My company has used a few similar sites over the years; Authorize.Net clearly stands apart. I would say it could be easier to do transactions with international cards, but my company rarely makes sales of this type so this problem doesn't arise often. When I worked with this software, there were often technical support issues. If you do not have all of your company information up front, it can be difficult to get technical support. So please, be ready to answer all of their questions up front. The ability to take transactions over the phone quickly and securely in a way our entire team understands has been incredibly valuable to our overall sales. "Industry defacto payment gateway for a reason"
It's super secure, fairly easy to set up, and works directly with most website platforms out of the box. They have support for apple pay, and paypal. Trustworthy company. Some API changes can be annoying, or their new secure routing. But it's all for the better in the end. It just may temporarily break your solution. Credit card payments seamlessly integrated into your cart? Go for it. Website e-commerce credit card processing with a trusted name backing it. We plugged them right into our Virtuemart shopping cart, BigCommerce, and Magento. Not to mention, they offer eCheck processing and virtual terminal to round out everything. Apple Pay, Android Pay, and Paypal are nice. We also use the automated rebilling feature, and it's great. CIM is our next integration, which allows storing of customer payment profiles. Continually improving their service to stay in step with technology is great to have from a gateway. 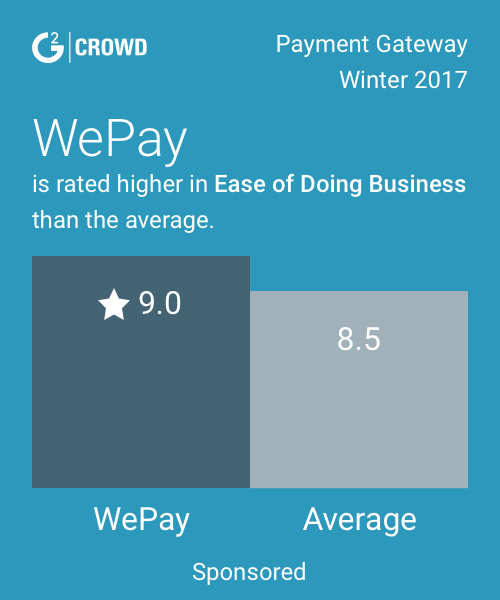 "Best payment gateway to handle customer payments and traffic"
"Best payment gateway to handle the subscriptions and discounts"
At times the gateway takes time to process the payment but that's bearable. The best payment gateway I have used so far in terms of pricing, in terms of accessibility, in terms of usability. Get the tool and you will never regret your business solutions. "Payment Portal is Behind the Times"
I like that I am able to connect this to the various programs my company has and the freedom to select which types of transactions we accept. There is a livechat feature which can help with quick questions that are not super sensitive. Their system is really outdated. I was having problems with things loading and their support team recommended I use Internet Explorer to access their portal. Most people in a professional environment are no longer using this browser as it is prone to bugs and viruses. Sometimes the chat feature is too slow when I need a question answered immediately, but I guess that's what the call functionality is for. There are hidden settings (such as international and address items) that are set up by default and are hard to find and no one knew about unless we dug deep into the settings. Just a minor inconvenience, though. We are solving the problem of how to get money from our many customers on a large scale. We provide a newspaper, hold conferences, sell ad space, and much more. It helps to have a system that we can send to people who want to make a payment to us. "Irreplaceable and well recognized tool for doing business online"
Seamless integration with Recurly makes accepting credit card payments with Authorize.net a breeze. The integration was easy for the developers. Sometimes it fails. But fortunately this does not happen very often. Reporting could use a major update, as currently it is entirely based on exported reports and it really looks like a solution from the 20th century. Later you need to play with exported data in Excel to actually do something useful with the numbers you get. Other tools usually provide not only data, but also some additional description on how to use it and some explanation on what the data means. There are no best practices you could learn from either. We are able to accept and process payments from our customers worldwide in a simple way. Authorize.net gives us tools to start and grow our online business. "Nice option for ecommerce. Needs a POS option"
Our team uses auth.net to process payments for ecommerce. We highly utilize the reporting, settlement time adjustment and scheduling, and the different level user log ins. The mobile app for POS transactions if very temperamental and buggy. Tried to use it for a new campaign to keep all our transactions with one gateway. It just wasn't worth it. If your looking for a reliable gateway with timely settlements then this could work for you. If you're looking to take advantage of using an embedded payment form for your site or using their mobile payment features there are probably better options out there. We use Authorize.net to take payments for various events, programs, and membership dues. My favorite thing about it is that it is easy to use. This is the first payment gateway that I had ever used and it was very easy to learn how to search, make payments, and pull reports with no help. I have never had a problem with Authorize.net. However, I have had people call and ask for data in our account who were not Authorize.net representatives. They tried to walk me through different steps as if they were affiliated with them in some way. "This is a fantastic transaction tool for all businesses! " Authorize is extremely easy to learn, very straightforward tools where you can charge, refund and link to e commerce platforms. We use authorize across all our webstores. I love how authorize offers an certified seal in an html code so users can post on their website to gain credibility. The website overall is extremely easy to explore and you can offer different log ins for employees. One feature I really enjoy is when we refund the customer, there is an option to send them an email notification so the customer gets a receipt of when they can expect a return. I believe that the search engine could be optimized visually. I will search a specific time period and when there are more than 12 transactions from that day, the remaining days will get rolled over to the next page. The "next" page button is very difficult to spot and way too small. I would love to see the whole list show up or have a more clear "next" button. I highly recommend using this platform to link the ecommerce websites and it is extremely to use for all transactions. Our businesses go over countless transactions a day and Authorize offers a great platform where we can quickly process payments. "Best payment gateway to deal with"
We are using Authorized.net as our primary payment gateway to our customers and it is very userful for us to set auto renewals and one click renewals by intergrating API’s. Please try switching to the Authorized.net gateway and you will never regret. "Much better payment solutions exist today. Go with something else." When I first started using Authorize.net, over 5 years ago, there were two primary options for payment solutions: Paypal and Authorize.net. During that time, I had decided to go with Authorize.net since it was slightly cheaper than Paypal based on the size and quantity of the transactions my websites would be handling. Most of the documentation was fairly straightforward and I was able to implement my payment solutions relatively quickly. It's been more than 5 years since I've been using Authorize.net and very little has changed in regards to their API and documentation. This is not good. As numerous other payment solutions have sprouted up offering better documentation, more functionality and API libraries in other languages, Authorize.net has had very little to show. Even their pricing is no longer competitive to some of the other solutions that are out there. Authorize.net is dying a slow and painful death. Payment solutions like Stripe and Paypal's Braintree provide developers with significantly better experiences as well as cheaper costs. I have implemented a number of donation and e-commerce sites over the years. Unfortunately, I no longer see Authorize.net as a viable solution for any of my e-commerce needs. There are too many better libraries out there with better functionality and support that have caused me to move on from Authorize.net. Bottom line -- it's never failed me. I build ecommerce sites for my clients and consult with dozens about the best "gateway" on the market. There are many who claim to be awesome, but the only gateway that has never disappointed me is Authorize. Flexible, accurate, fast, dependable, high-availability, and consistent. Support is great, too -- everytime I've reached out, they've been tremendous. I'm not sure this is still relavant -- I suspect that their support offices still have normal business hours and do not offer any evening/weekend support. I'd love to know that technical and account support was 24x7. There are, literally, hundreds of payment gateways on the market. Some of them will claim to be inexpensive and feature rich. Others will claim high-availabiity and scalability. Go ahead and try those if you wish to bang your head against the wall and fight over policies, procedures, and failures. here's the bottom line.... Authorize.net works. Every Time. All the Time. And, dollar for dollar, you're not going to spend more on this product than you will on others when you consider the total cost of ownership. This product is one that I will remain fiercely loyal to, because they've earned my trust. Simplicity. Set it and forget it. I've run hundreds of thousands of dollars through the Authnet each year and it's just the most stable environment. Neither myself, nor my clients have to worry about our gateway's availability or accuracy. "One of the better known gateways in the industry"
One of the best things about the Authorize.net gateway today is the simplicity of being able to use their back-end virtual terminal system. It used to be nearly impossible to be able to figure out how to use the system, but today with the simple "virtual terminal" link, it's so much easier and very easy to enter in the information necessary to process a credit card and if you need, you can also edit the fields to pass along more information to your processor. I dislike the fact that you cannot change the batch time to make it more convenient if you put through a charge within 1 hour of when the transactions would normally be closed out. Make sure that your developer is knowledgeable about how to properly implement the gateway into your system and use additional security to make sure fraudulent charges don't get through your gateway. My web hosting platform required me to use AUthorize.net's gateway as part of my billing platform. At least I have been able to work with the gateway to process the charges. "Reliable but not the easiest solution to setup"
With Authorize.net you can get a PCI-DSS 3.0 complainant system up and running in no time. They have APIs to do everything and their SDKs are comprehensive enough to expose all the functions. They have option to store customer cards on their own infrastructure, which means I as a consumer did not have to worry about the security, A transaction can be changed into recurring with a click of a button. APIs to manage subscription meant that I was able to build self serving SAAS application with zero human intervention. Their XML SOAP based API is dreadful. They have a JSON based API but its still in beta. They donot have a Python SDK so i had to build my own. The fees are on the higher end. You cant take multiple currencies from same account. If you are using Java, .net or php, their native SDK is extremely straight forward to use. Authorize.net has a simple checkout system. You can also store additional information with transactions. They also have a fraud detection system. They have recently revamped their official pricing structure and their website. Also, now you can send JSON in requests(Beta) which would be a way better solution than XML requests. The XML API. I don't like it. I integrated Authorize.net in an open-source ERP system, Tryton, to take payments from customers using Credit Cards. I had to use a Python API called "py-authorize"(https://github.com/vcatalano/py-authorize) from GitHub, unlike Stripe, which gave me it's own Python API to take payments from any system written in Python. It's good. Go for it. Also, try Stripe. Both of them are too good. I user Authorize.net in an open-source ERP System called Tryton to take payments using Credit Cards. Customers from US, Australia and Europe were happy to use Authorize.net for taking payments from the web or ERP client. "Your mileage may vary & There are better alternatives available"
Authorize.net has a very good API available making it easy to run a charge, and later go in and convert it to a recurring subscription. If a customer's card is declined, you can try charging it again whenever you want until it goes through. You have to pay a monthly fee. You need a new account (and double the fees) if you want to process more than one currency. You have to pay for a gateway, and you need a merchant processor. There are multiple parties to go through in order to solve problems if any show up. The problem isn't generally with Authorize.net and they provide fairly good customer service, however your mileage may completely vary as every payment gateway and merchant processor is not consistent and has different policies, requirements, and they may decide to cancel you at any time. Our payment processor decided to drop us after 2 years (and they didn't even bother telling us!! I was wondering why our recurring payments stopped going through) with no chargebacks and the only other company that would take us on wanted a $2500 deposit for each of our accounts. So it would cost us $5000 to get back up and running again. Anyway, we looked into Stripe, there were no monthly fees, we signed up in 2 minutes instead of 2 weeks. Get Stripe instead. You're in control of everything and it's consistent. We run an ecommerce website, so payment processing is the most important operational aspect of our business. Authorize.net was great at first, they allowed us to launch our business. However, after our payment processor terminated us unexpectedly and without notice, we signed on to Stripe, and that was the best thing that's ever happened to our business. No setup fee, no monthly fees, low percentage, excellent API and back-end dashboard, handles multiple currencies at once, no waiting period to get started. Just enter a bank account and go. They also provide an excellent mobile app allowing you to take cards without a card reader. Using Authorize.net I was able to go from an absolute noob to a full fledged application very quickly. I was able to refactor my code using the php sdk and very quickly extended our application to include some more challenging aspects of eCommerce (refunds, user management etc). With our application we handle both online (web) orders as well as a phone/IVR system that posts order information to an API endpoint. The simplicity of our application increased as my experience with Authorize.net increased along with my understanding of the way things work in general. Coupled with the fact that our sales "offer" constantly has changed to include free trials, multiple payments (ie. 3 easy payments etc.) and the likes. We were able to use Authorize.net all the way through with some very custom logic. I would certainly say that though the online chat is very quick and customer service is a bit more knowledgeable via the phone - if you have a very low level application specific question the response time from the developers did not meet my expectancy. In one case I needed an answer regarding a missing function in their sdk and instead resorted to cloning their GitHub repo and creating my own branch including that function. I understand their resources are finite but the response took nearly a month and did not really touch upon the issues I was most concerned with. I would recommend Authorize.net if you need a custom payment solution. Currently we have been able to completely customize our application to the market with whatever offer we desire we are able to use Authorize.net to execute our eCommerce requests. "This is the best payment gateway service provider!!! " I absolutely love everything about this provider. Authorize is the best, safest and most efficient way to accept credit card and electronic payments. We use this provider across all our ecommerce websites and I love the friendly user inter phase. I love how they offer to post a authorized verified merchant badge html code for you to post on your ecommerce websites to reassure prospectors. I love how when we refund or credit back a customer we can include their email so authorize can send an email on our behalf. I love everything about this provider and it is my number one choice. My one and only complaint is that when I try to search for a transaction or list all transactions in a certain day, the list is very small and the "next page" link is very discreet. When I first used this service I could not find a customer's payment and then I found out their payment was on the next page. Definitely could step up on the search list category. This is one of the best payment gateway services i have ever used! I recommend all companies to use authorize to reassure customers that their information is safe. It is so important to use a payment gateway service provider for our ecommerce websites because of the security, and it ensures that the customer's sensitive information will be safe. I like the connectivity that it can provide with Paypal, Visa Checkout, etc. It's great in the respect. A lot of different separate sites to see if different aspects of your own account actually work. Need to make different log-ins for one large site. We are able to fix a billing issue that we had. "It gets the job done, but it really feels like an outdated, legacy system"
It reliably collects payments and refunds customers. Basically: I like that it works. It also has a fairly detailed set of test credentials for development, and it's not crazy expensive. I don't like its XML API. First of all, I don't like having to grok XML structure to find the parts that I actually care about. I also find the API error messages inconsistent. Sometimes they are appropriate for users, other times not at all. This makes it frustrating as a developer. It would be great if I could simply pass along user credentials, get an error message back, and then simply relay that message to the user. But I can't do this. Instead I have to perform regex matches on the returned errors to decide whether they are suitable for users. This is annoying, and seems avoidable. First consider other payment processing platforms that have better, more modern APIs such as Stripe or Cybersource. The key business problem that this solved was how to collect payments from customers on our ecommerce website. The benefit we have received is being able to collect payments. "Easy to use for first time mobile payment users!" I like the fact that hooking up the payment system is really quick and that you can add your credit card in a few simple steps. I dislike that sometimes the mobile app on the Android platform is a bit slow to load pages, sometimes taking 5 or 6 seconds to load a page. This is recommended for mobile app developers who wish to have an easy-to-integrate solution for mobile payments. I am building a photo sharing website and currently developing a mobile app for photo sharing as well. Am experimenting with Authorize.net for in-app mobile subscription purchases. I like how you can search by various options. It is easy to tell if you credit card sales and if your direct debit sales have went through. I like how easy it is to refund for things as well. No major complaints, just some minor complaints. I hate how specific you have to be when searching for a credit card transaction. It does not allow you to do the first couple of letter of a first or last name, or of the child's name, in my case. Also, it would be helpful to group them in certain categories. Instead of looking at a declined transaction in the entire organization, I prefer to search by a segment of the organization, in which we are billing those customer separately. Other than that, I like it a lot! Like it, but there are some kinks that would need to be worked out. I stated them with what I dislike about the program that we are running here at the office. We are solving having a physical machine to run credit cards on. I think it is easier to be able to access information from any time, any where. You can be away on vacation or off from work for the day and still log in to check it. It is incredibly easy to use and return money to cards. It doesn't line up to my software. the drawer s close at different times. its how we collect all our money via credit/debit cards. I love how Authorize.net attempts to acquire the credit card funds within seconds of your customer's making purchases. This saves a great deal of time and allows me to provide better service due to the decline in stress. As great as this software is, I can't stand all of the fees they required in order for myself to do business with them. There is no doubt, their service can be worth the fees, but only if you are making a large enough number of sales to offset them, sadly I was not able to meet this number of sales. Please revaluate your fees, they are great for large business with large numbers of sales. However you should consider option more feasible for small independent sellers, this is where companies like Square Space begin to pass you up as they offer similar services at a lesser cost. I was able to quickly secure the funds for items I sold which granted me a great piece of mind. "Authorization gateway with lots of options but also complex"
It's the most conservative (oldest) of all major payment gateways, so it's also the most well documented with the largest number of out of the box setups for any language or use case you want. It's more well rounded than probably any other solution, other newer solutions have more narrow usages (which fit most people fine) whereas Authorize probably has the broadest (also complex) solution around and accepts obscure cards like Diners Club.. It's very complex relative to the newer competitors such as Stripe or Braintree / Paypal. Stripe set the new standard when the set one fee for all cards and capped all secondary charges. Authorize has tried to keep up but has a large user base to keep happy and can't change as fast because it has such a broad number of use cases. Authorize.Net has more features supporting more cards than any other gateway. It's lost market share to a handful of newcomers who have greatly simplified payment authorization but at the expense of certain needs and only the most common cards. If you need to support a large or enterprise solution and support all cards and ACH solutions it is still the best solution. I've used Authorize.Net for eCommerce. When I needed to use it for a client who needed to accept all cards including Diners Club, JCB, etc. I knew I would need to go with Authorize, it also had a drop in library for using ASP.NET which other newer solutions only support thru community libraries. "Good Company and support, Price could be better"
I have worked with Authorize.net support and sales for years and really like their staff who are very helpfull and knowledgeable. The recent boost in prices makes this solution not my first option for overall recommendations unless the company or owner I am referring to them is in need of certain back end/front end certified platforms for their credit card processing and features that Authorize.net can support for their API. have your IT or programming staff or rep review the support material and platforms for integration first to make sure they will integrate qwith your systems before putting in the programming hours which could cost lost revenue. Ease of integration and level of support for novice users not always the best for start ups. A very simple and easy to use database for payments for our business. Works in junction with our online booking system to capture payment methods for clients. Easy to use processing with doing online payments. It's not as maybe streamlined as it could be, it could be a little more organized with the menus, the overall feel of the design could use some updating. Allows us to securely store payment methods for clients without risking any data breaching. Saves us time and money not getting the information from clients verbally or in person. Affordable, clean efficient reporting, recurring billing for customers, easy refunds. I would like to customize receipts and invoices for customers. I would also like to invoice customers like PayPal (Authorize.net recently rolled this feature out but have not tried it yet). Recurring billing has been the most useful tool through authorize.net. I run a sports program where we set most of our customers up on recurring billing through the season which helps capture the majority of dollars we’re owed. "Quick & Easy Payment Processing"
Extremely easy & fast to process credit card payments & refunds as well. Reporting functionality is very useful as well. There are additional fees on top of the standard credit card processing fees (fee to open the account plus a monthly fee & the regular percentage for processing). There are certain limitations with our standard credit card processing tool (such as not being able to process invoices from multiple different accounts in one transaction) that are solved by authorize.net. "Web Developer with 10 years Experience Installing Authorize.net Solutions"
Authorize.net has been my go to solution for e-commerce for over 10 years. I have worked with many payment processing integrations over my 18 year career but Authorize.net was always my recommendation when I had a choice or was asked for my opinion. The client side and server side options as well as support in the e-commerce community for Authorize.net made it the best choice. There is little I would say I dislike about Authorize.net. I still have clients using it with complaint. As a developer I would say to stay on top of the new or improved solutions Authorize.net has to offer. I work on project big and small and the service offerings have made it simple to find the right solutions for all kinds of project whether I am integrating with a shipping cart or building a server side payment solution for an online retailer. I have created payment gateways for High Ed and Solar Companies to mom and pop shops. I love how much easier payment processing is for international customers. The virtual terminal is also very convenient and user friendly. We haven't used all the features we could be so it would be nice to have more training available. I think the security could be a bit more, such as requiring the security codes on the back and/or front of credit cards. The layout could be easier to navigate. I also wish it would give you a reason why when a credit card payment is rejected. Nice for international customer payments. We have found when we use our other credit card processing system we have trouble with international payments and with debit cards. Authorize.Net has helped us solve that problem. "Easy and old reliable "
if you want something easy and dont need anything fancy this would be your best solution. Very complete payment gateway and can be used for all types of transactions, online, in-person, etc. Also, their customer support is very good. 800 number gets you to a live person that has been able to answer my questions quickly and solve problems. It is a little complicated to get started with. All of the capabilities comes with a tax on simplicity. If you need a full featured payment system/gateway I recommend you consider Authorize.net. It is complete, secure, well supported. Authorize.net serves as my payment gateway on my website and in the future will allow me to make in-person transactions at shows and events. The way they collect data. very comprehensive. It's easy to follow money trail. Clear data. They batch at 7:00 at night. Rather have a daily dump then cross days. Very good, but some confusion with transaction posting--cut off at 7 p.m., so you cannot match with daily dump to bank. Ease of collecting funds. They are secure so people trust the site. "Simple, effective software. Easy to get reports. Awesome support!" The software is easy to use and it's very simple to get reports. The few times we've had to set-up our credit card machines off-site and have had problems their support team has been great! I'm sure there is newer technology out there but we haven't really looked into as we've been happy with this for our website. If you want a simple, easy to use platform with low fees, this is a great software to consider. We use Authorize.net to process payments on our website. We've found the reports to be very easy to access. The fees are reasonable as well. I like that authorize makes transactions super simple by allowing a swipe option. The only thing I would say I dislike is the interface. Its not as user friendly as it could be. Be sure to train your workers thoroughly on the use of authorize. We're making it easier for people to pay for things like copies and memberships as people are carrying cash less and less these days. * We monitor all Authorize.Net reviews to prevent fraudulent reviews and keep review quality high. We do not post reviews by company employees or direct competitors. Validated reviews require the user to submit a screenshot of the product containing their user ID, in order to verify a user is an actual user of the product. Hi there! Are you looking to implement a solution like Authorize.Net?